As of September, 2013, I have officially endorsed Bootleg Drums of Atlanta, GA for their superior craftsmanship, customer service and attention to detail. I have been working steadily with Bootleg Drums since February of 2013 to produce what I consider to be the most outstanding drumset I could have dreamed up. Bootleg has a real leg up in the industry. 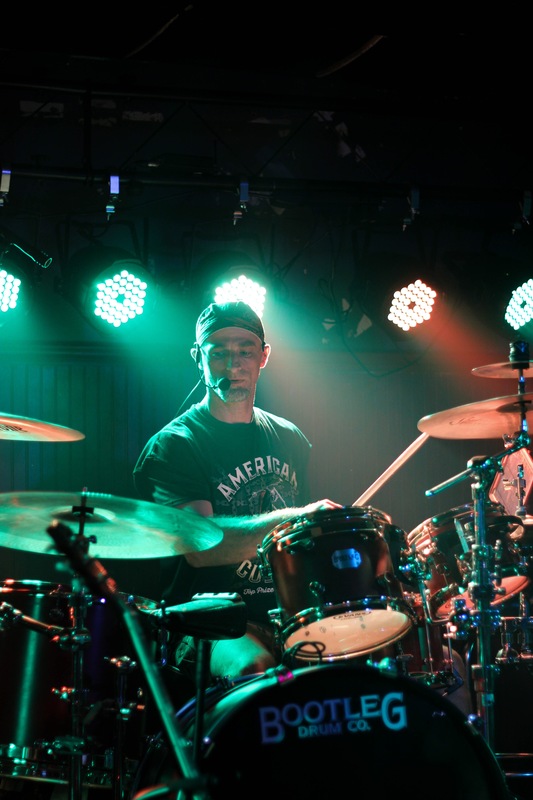 Matt Higginbotham cares for drums, drummers, the craft drumming and the drum industry, and are highly knowledgeable, quick to respond and aim to please. I was amazed at the quality of the craftsmanship. I had picked out every last nut and bolt in 45-day ongoing dialogue with Danny. So, I had a suspicion what they were going to look and sound like, as you can imagine. As I should have been, I was somewhat anxious up to the day of delivery. However, I was more than breathtakingly surprised by their stunning outcome. Still, I wanted to know what they sounded like. That is, afterall, what I worked so hard with Danny to achieve. I had an exact sound in mind. I wanted it smooth, with low overtones, resonant and clear. Of course, they had to be tuned to my liking. I then spent the better half of 2 hours precision tuning them with my iPhone application. I had been a Taye advocate for over three years (as of this writing). I loved, and still do, the sound of my Taye drums. But I was shooting for better in designing these particular drums. So, with a somewhat matched tuning (the equivalent Taye’s were a 1/2 step lower), I did an immediate comparison between Taye and Bootleg. I was stunned. There was no comparison! Bootleg won hands down. My wife noticed immediately. My band members noticed on the drums’ debut gig. The sound engineer noticed. I have owned custom DW’s, Yamaha Stage Custom Noveau (birch/falkata/mahogany), Tama, et al. But nothing compares to these. They have a warm resonant pitch that fills the room. I use Evans 360 heads. Please contact Matt Higginbotham for info.